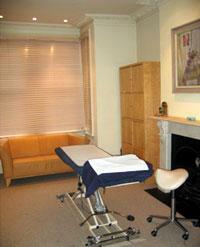 Sholeh Fadami, DO is the owner of the Ealing Osteopath. She graduated from the British School of Osteopathy in 1989 and is registered with the General osteopathic council (GOsC). She has an interest in treating sports injuries and was the resident osteopath at Holmes Place sports club (now known as Nuffield Health Club) in Ealing for many years. She was also one of the onsite osteopaths for American football teams in this country. She is registered with the General Osteopathic Council. The Ealing Optimum Health Clinic and has been providing osteopathic care to the residents of Ealing, West Ealing and the surrounding areas such as Acton, Brentford, Hanwell, Greenford, Chiswick, Southall, W13, W5, W7 since 1989. We are registered with all major health insurers such as WPA Simply Health, CIGNA and Aviva, Vitality Health. Please check with your insurers for the level of cover you are entitled to under your policy.